Heartburn is defined as a burning feeling in the chest or area just above the stomach due to the upward movement of acid from the stomach to the esophagus. 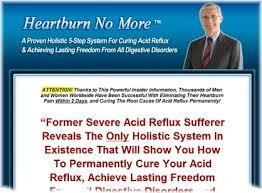 Heartburn is a common ailment which most people experience at some point of time in their life. Actually, heartburn is in no way related to the heart and is only a digestive problem. Certain food items of a meal and some postures are considered to be the reasons behind heartburn. Some of the common home remedies for indigestion have shown better results in relieving the discomfort caused by heartburn. Pain in the heart should not be mistaken for heartburn and necessary treatment should be taken by consulting a physician to get immediate relief from the pain.Obesity is considered to be one of the causes of heartburn, as it leads to a higher pressure in the abdomen. Pregnancy is another cause which increases pressure in the abdomen and the changing hormone levels during pregnancy causes relaxation of muscles of the valve that passes food from the esophagus to the stomach. Eating large amounts of food or drinking too much of fluids is one of the other causes which can lead to back pressure. Smoking is one of the other causes which makes the valve that passes food from the esophagus to the stomach to relax and also increases production of acid in the stomach. Certain foods and beverages are considered to be a cause of heartburn, as they stimulate the production of stomach acid and also weaken the barrier between the stomach and esophagus.One of the common symptoms of heartburn is a burning pain caused due to the irritation of the esophagus which is felt by the individual in the central area of the chest. The individual suffering due to heartburn can sense the presence of acid and stomach contents in the back of the throat or mouth due to the bitter and sour taste of the acid. Activities such as lying down or bending during an episode of heartburn can worsen the symptoms. The symptoms of heartburn can last as long as 2 hours. Eating food during an episode of heartburn can make the symptoms even worse. The symptoms of heartburn are often mistaken for signs of a heart attack or heart disease. A physician needs to be consulted to confirm the source of pain and get the necessary treatment.